Instagram is one of the fastest growing social media platforms available. Just last month, Instagram announced that they reached 700 million users, a staggering feat. There are other effective social media platforms, like Facebook and Twitter, but Facebook appeals to an older demographic and Twitter only has an estimated 328 million active monthly users at this time. 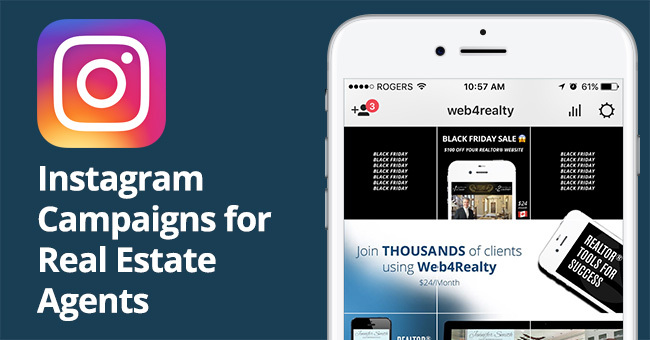 The truth is: If you want to stay up-to-date and appeal to a younger generation of homebuyers, you really should be using Instagram to promote yourself. 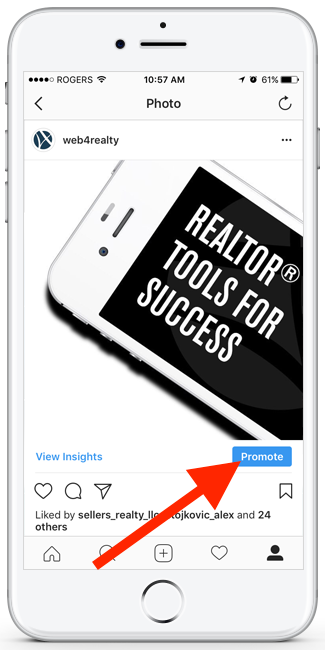 Many real estate agents are already taking advantage of Instagram’s relatively new advertising capabilities and there’s no reason why you shouldn’t be doing the same. The good news is: ads are extremely easy to setup, they’re relatively cost effective, and if done correctly, they can be enormously valuable. 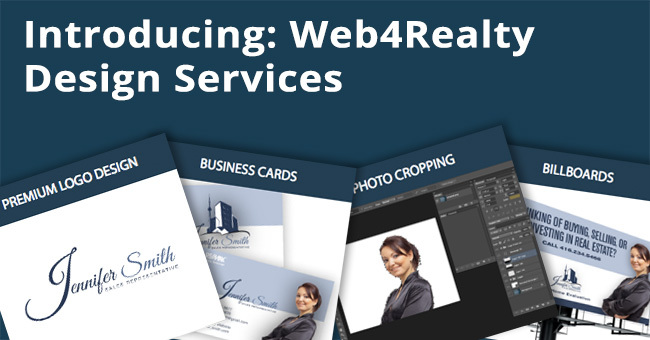 Free Trial: Try Web4Realty’s 14-Day Free Trial (no credit card required). 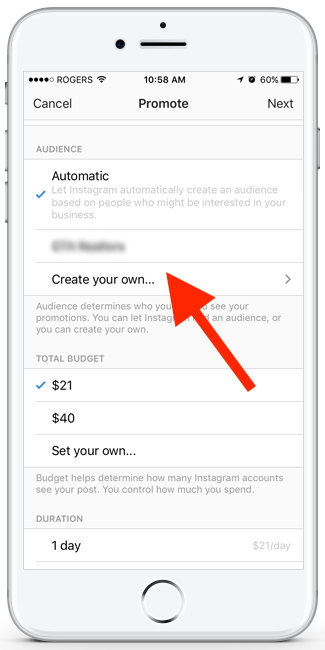 First, you have to have an Instagram Business Account. Don’t have one? Click here to sign up. Once you have an active business account, you have to publish an image you wish to promote. Once both steps are complete, simply click on the post you wish to promote. Want to convert your Instagram to an Instagram Business Account? Learn how. Once, you’ve select the post you’d like to promote, simply click “Promote”. 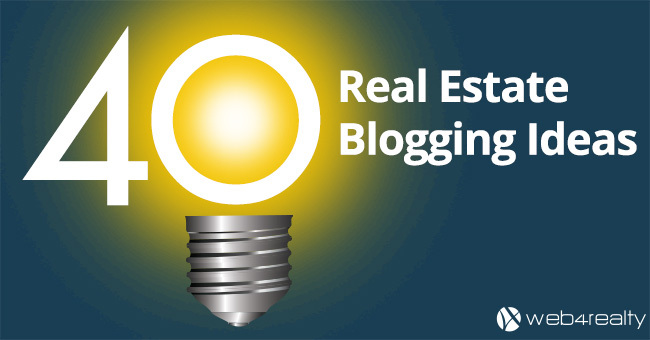 Next, determine whether you’d like your post to entice people to visit your website or call you directly. Tip: This decision depends on the type of advert you are running, but in most cases we recommend selecting “Visit your website” to increase your website traffic and expose your leads to some valuable content to entice them to leave their information. Click “Action Button” and select the button text. We recommend using “Learn More,” but it depends on the type of post you’re promoting. 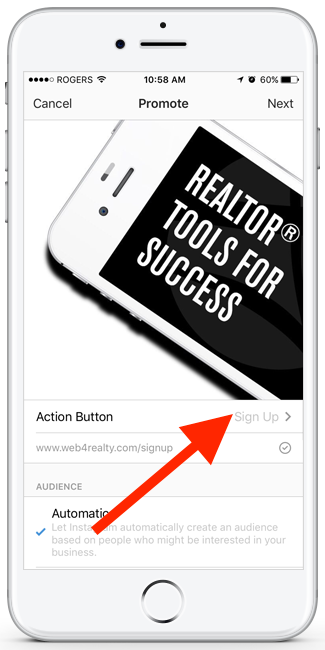 If you’re promoting a community or listings page on your website, here’s how you can do it using Web4Realty App. 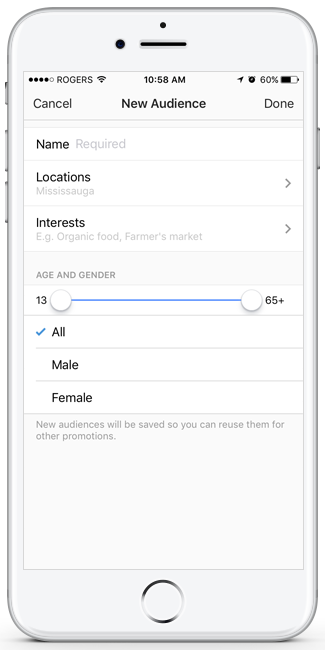 Selecting your audience is the most important part of setting up your advertising campaign. 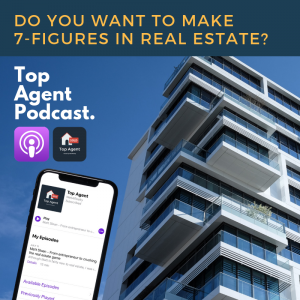 The location(s), interest(s), and age are the most important factors to consider. Consider the following questions when you’re setting up your audience: Who is your target audience? Who do you want to see this promoted post? Where are they from? What are their interests? Warning: If you make your audience overly general, this could quickly drain your budget. Let’s say, for instance, you’re promoting your Mississauga Square One Condo Rental website. Here’s a good way to position your campaign. 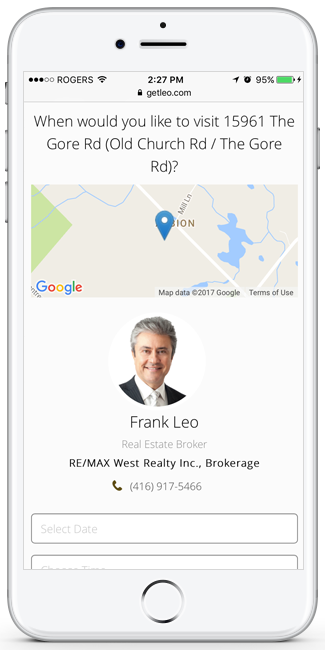 Selecting this location with the aforementioned interests would help you target specific leads in Mississauga looking to lease a condo. 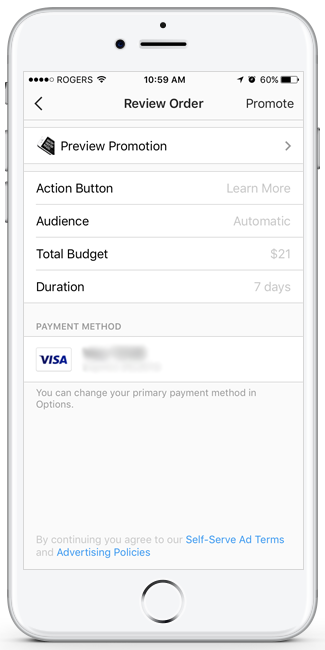 Simply confirm your button, audience, budget and the duration of your campaign and click “promote”. Be sure to check in regularly to see how the campaign is performing by going to your post and clicking “View Insights”. It doesn’t matter how enticing your advert is, the success of your campaign boils down to the website link the advert links to. 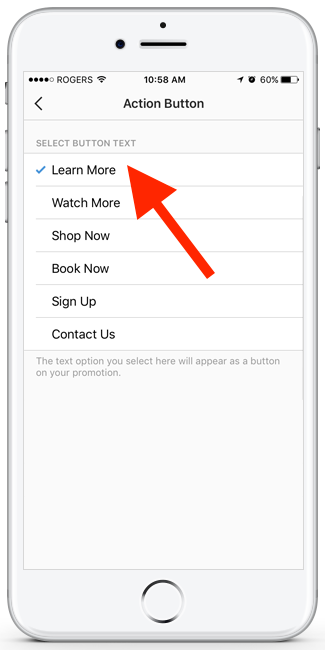 If someone clicks “Learn More” on your advert and your website is not mobile friendly, lacks call-to-action, or you doesn’t have valuable content, the lead is highly unlikely to convert. 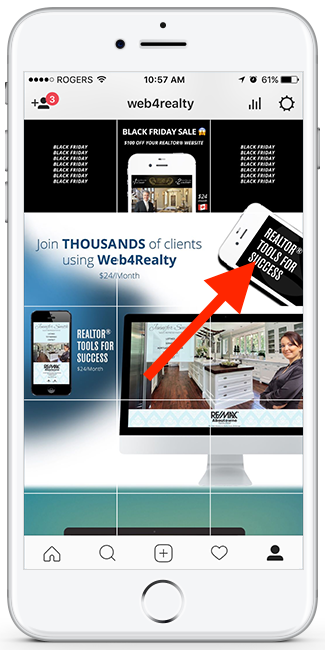 Luckily, all Web4Realty websites are fully mobile compatible. 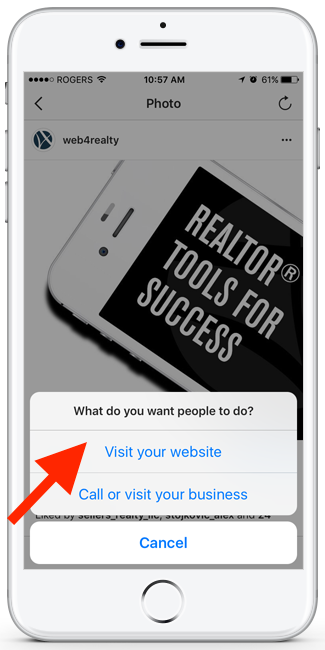 They also come with a robust IDX platform which allows you to create custom listings pages that come fully equipped with call-to-action forms and automated lead notifications. 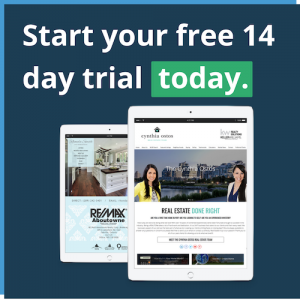 Try out Web4Realty’s 14-Day Trial (no credit card required).